Since January 1999, Tom Kaser has taught WR 90, WR 115, WR 121, WR 122, and WR 123 at Columbia Gorge Community College (CGCC). He has thirty years' experience teaching college-level writing and literature courses. 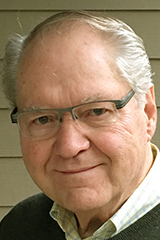 Tom also has thirty-four years' experience as a full-time writer for five metropolitan daily newspapers and is an internationally published freelance writer. He has received state and national writing awards and fellowships, and his publications include the New York Times and the Los Angeles Times.